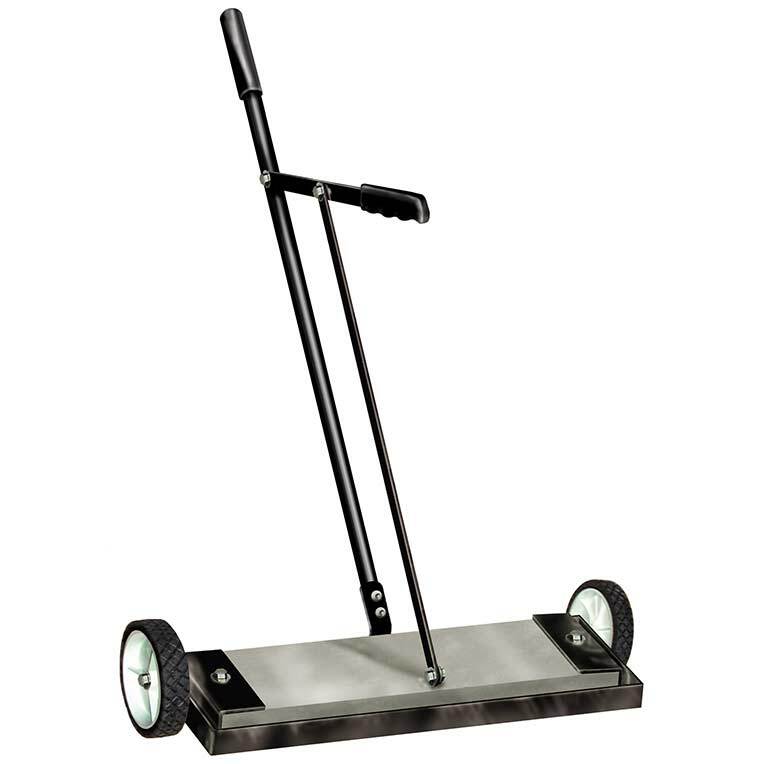 This powerful magnetic sweeper can be used indoors or outdoors for fast, easy pickup of nails, screws or other ferrous metal pieces and is easy to clean! Simply pull the rubber T-handle to lift the magnet away from the stainless steel stripper pan, which allows the collected metal to simply fall off(versus picking collected metal off by hand). The 2" ground clearance and 6" dia. wheels allow for usage on flat, grassy areas. May also be used in wet/damp areas, but is not submersible. If needed, handle may be removed for storage or transportation. 2" ground clearance is great for yards, driveways, floors, etc. IS2400 24" 6-7/8" 13/16 46 lbs.